Cornwall is blessed with some of the best locations in the country to get married in. Wild beaches, rolling hills and stunning venues. You can see examples of my wedding photography Cornwall work on my Real Weddings Blog. Here is a quick guide to walk you through some of the different weddings that you can find there. For a festival beach style wedding have a look at Leah and Ian’s wedding at Treyarnon. 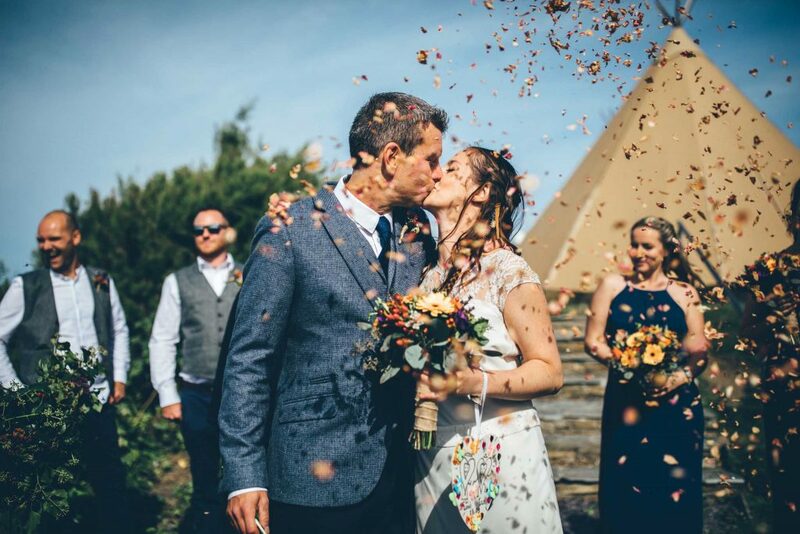 Alternatively take a look at Lisa and Steven’s festival style wedding at the wonderful Cornish Tipis. There is nothing better than a warm summer night standing round a roaring fire, whilst everyone parties the wedding night away. For a stately country house wedding then pop over to Maddi and Nick’s wedding at the beautiful Boconnoc House. Boconnoc has to be one of the most stunning country houses in Cornwall. I absolutely love weddings there. Always a favourite is the incredible Polhawn Fort that sits nestled on the cliffs high above Whitsand Bay. Visit Katie and Paul’s wedding to see more of this wonderful venue or try Jessica and Simon’s stormy winter wedding at Polhawn Fort. For something more rural you have two wonderful venues to choose from – the amazing Trevenna (have a look at Sam and Rob’s wonderful wedding at Trevenna) and The Green (visit Amy and Tom’s wedding at The Green). Both these venues provide rural calm in beautiful country locations. Hopefully this quick quide will have given you an idea of some of the wedding photography Cornwall venues that provide so many incredible opportunities to create a unique wonderful day. Interested in talking more about your wedding day? Drop me an email using the form below.